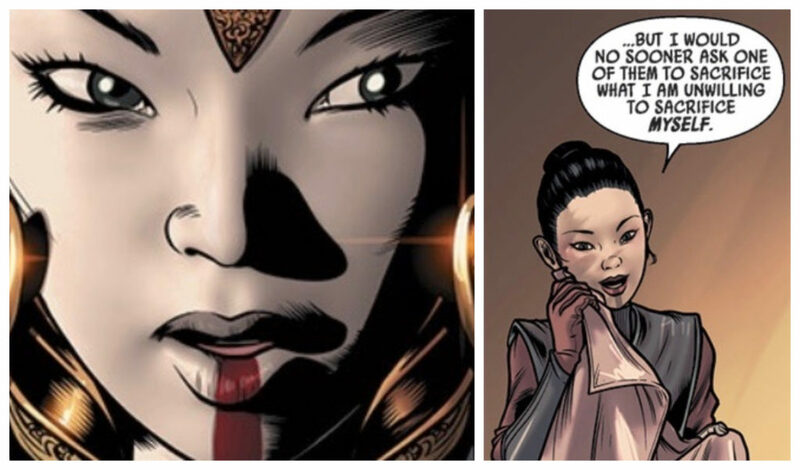 Sosha Soruna was the Queen of Naboo in the comic series Shattered Empire. This series took place in the days after the Battle of Endor seen in the film Return of the Jedi. Queen Soruna is seen in a traditional Naboo royal outfit as well as in more casual clothing. 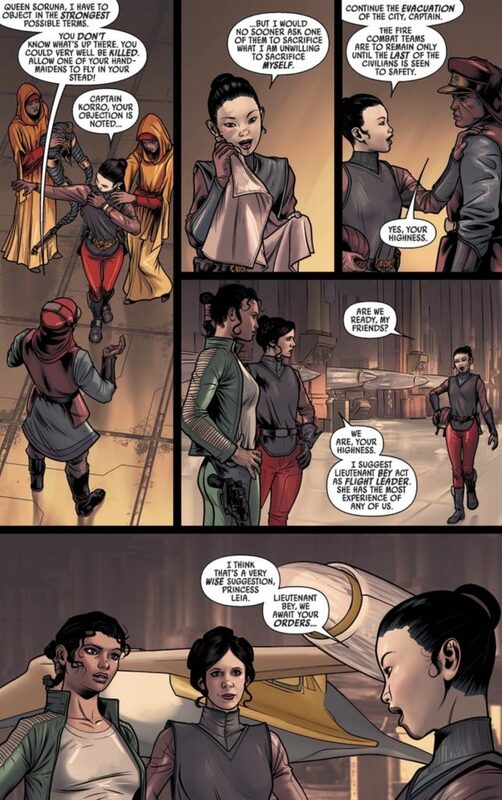 Soruna takes to the sky as a pilot in an attempt to save her planet from Project: Cinder along with Leia Organa and Shara Bey. Here’s a look at one of the pages of Shattered Empire. Shattered Empire Issue #2. Writer – Greg Rucka. Artists – Marco Checchetto, Angel Unzueta, & Emilio Laiso. Colors – Andres Mossa.